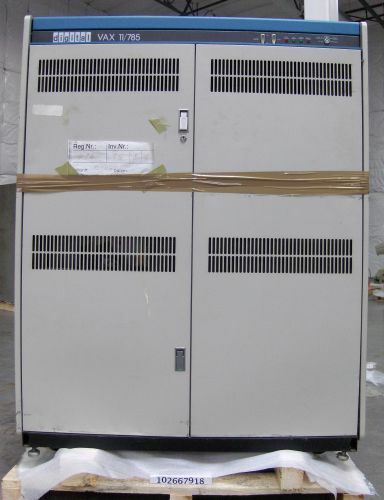 Object consists of cabinet, card cages, power supplies, and 8" floppy drive. There are control switches and status lights on top right front panel.is panel has a key switch but no key is included. Found in the cabinet: 14, 8" floppies that have been transferred to archive.